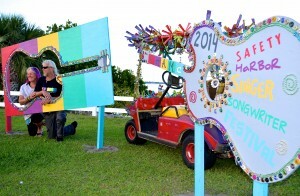 The 2015 Safety Harbor Songfest is Saturday, March 28 and Sunday, March 29 at the Safety Harbor Marina. Eleven months ago, the first annual Safety Harbor Singer Songwriter Festival took the city by surprise. This weekend, buoyed by the success of the inaugural event, the newly named Songfest is set to take Safety Harbor by storm. In addition to a catchier name and earlier spot on the 2015 special events calendar, organizers for the waterfront music festival went all-in this year by improving the lineup and launching a huge marketing campaign to help get the word out. “This year we have bigger headliners, including the Steep Canyon Rangers, Shawn Mullins and Caroline Kole,” said Todd Ramquist, who, along with partner Kiaralinda, created the festival as a fundraiser for their Safety Harbor Art and Music Center. “Another big difference is the amount of promotion we’ve done,” he added, noting they were able to secure trade-outs for television ads, radio spots, magazine articles, even a mobile LED billboard. The 2015 Safety Harbor Songfest kicks off Saturday, March 29 at 11:00 a.m. and will conclude with the Grammy winning Steep Canyon Rangers closing out the show Sunday night at 7:00. Tickets for the event cost $25.00 per day, or $40.00 for a two-day pass. 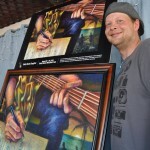 Songfest poster artist Jesse Adams poses with his work. Credit: Safety Harbor Art and Music Center. Throughout the weekend, nearly two-dozen groups and artists will perform on one of two stages, one set up at the Safety Harbor Marina and the main stage at the adjacent Waterfront Park. In addition to the music, the festival will feature arts crafts and merchandise vendors, plus food, craft beer and other entertainment and activities. And although organizers were unable to host free concerts leading up to the festival this year, other ancillary events have served to further spread the word about Songfest. Taking everything into account, the 2015 Safety Harbor Sonfgest looks to be bigger and better than its predecessor. Songfest founders and Todd Ramquist and Kiaralinda. But don’t just take Todd and Kiaralinda’s word for it; according to at least one local resident, the event has the potential to put Safety Harbor on the map. 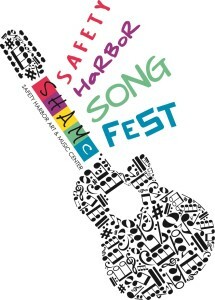 To purchase tickets for the Safety Harbor Song Fest without surcharges or convenience fees, click here to beat the crowds and purchase your e-tickets.